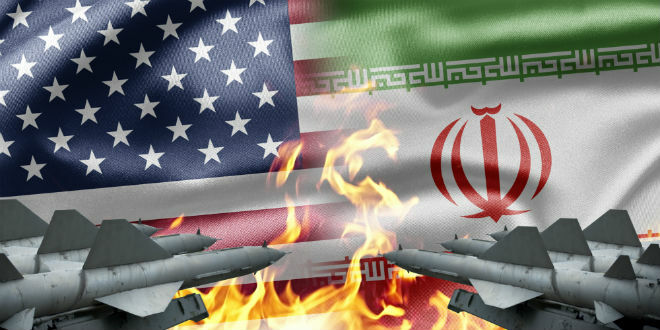 Post #209: After Singapore, is Iran the Next US Target? Predictably, both sides at the Singapore summit are claiming victory. Kim Jong-un, having shared the stage with Donald Trump, can say that North Korea is now recognized de facto as a nuclear-weapon state. Trump can (and did) say that North Korea is no longer a nuclear threat, though he has already backtracked from that statement with a notification to Congress that uses the North Korean threat to justify continued sanctions. Both men claim to be great negotiators and just great guys—again, as Trump actually did say of Kim. Of course, the reality is that the nuclear issue has not been buried, and the process for bringing about normal relations between the US and North Korea remains to be determined. Most experts seem to believe that Kim got the better of Trump, mainly because Kim did not deviate from the longstanding North Korean position that it is willing to “denuclearize” provided the US offers security guarantees. Which raises a few questions. Given that the US objective is “complete, irreversible, verifiable denuclearization,” why was Trump willing to agree simply to Kim’s “commitment” to denuclearization? Why did Trump decide to suspend US military exercises in Korea, a gift to both North Korea and China, made even sweeter by his referring to the exercises as “provocative”? Why did Trump fail to go along with John Bolton’s insistence that a denuclearization agreement should cover every aspect of uranium enrichment and plutonium processing, missiles, and chemical and biological weapons? Why, finally, was Trump so lavish in praise of Kim—and so unwilling to condemn a dictatorship whose human rights record is horrendous and amply documented? The answer to these questions may have as much to do with US policy on Iran as with policy on North Korea. Prior to the Trump-Kim summit meeting in Singapore, the conventional wisdom was that overturning the Iran deal would make dealing with North Korea much harder for Trump. Iran actually warned the North Koreans not to trust Trump. But as the summit approached I came to a different conclusion: Trump would want to stabilize the North Korea situation—put it on the back burner for a while—in order to prepare for more forcibly confronting Iran. The North Koreans may even have sensed that, and took advantage by pushing for a final statement bereft of details. And Donald Trump, ever on the lookout for a winning photo-op and diversion from domestic problems, was willing to go along. Reportedly, he spent less than 30 minutes in actual negotiation with Kim Jong-un. What might have been Trump’s calculation? For his own political and personal reasons, protecting Israel and Saudi Arabia is much more important to him and his far-right supporters than protecting South Korea and Japan. As he sees it—judging from remarks during and since his presidential campaign—the South Koreans and the Japanese are in a position to do a great deal more for their security and economy. They should be paying more for US military protection, and South Korea should be preparing for the exit of US troops. Japan and South Korea should also be buying more American weapons and rectifying their trade surpluses with the US. (Until they do, Japan will not be exempted from the US sanctions on Iran that affect oil imports, and South Korea may have to renegotiate the KORUS trade agreement.) Should North Korea begin denuclearizing—which, contrary to Trump’s claim at a June 21 campaign-style rally, has neither begun nor yet been negotiated—Trump insists they contribute all the aid necessary for North Korea’s economic development. If South Korea and Japan were to decide to go nuclear, that would be just fine with Trump: It would enable him to end the US commitment to extended deterrence. Weakening, if not jettisoning, traditional US alliances has become a central element in the Trump foreign policy. Trump made his priorities clear when, within one week, he turned his back on the G-7 group and personally assailed Canada’s prime minister (supposedly in order not to appear weak at the Singapore Summit) while making promises to Kim Jong-un that left the South Koreans and the Japanese out on a limb. Encouraging Japan to develop a “normal” military role in East Asia and leaving South Korea to find a new comfort zone with North Korea would free Trump to focus on his much higher priority, namely, providing whatever the Israelis and Saudis want to isolate and destabilize Iran. Their priority can be seen in Trump’s decision on Jerusalem, the US decision to drop out of the UN Human Rights Council in protest of “bias” against Israel, US arms sales to Saudi Arabia and support of its intensified and criminal bombing in Yemen, his pretense of having a serious peace plan that would accommodate Palestinian concerns, his siding with Saudi Arabia in its dispute with Qatar, the efforts by his representatives to obtain financial support from the Gulf states for Trump’s election, and Trump’s letter (officially unacknowledged) to Persian Gulf allies demanding that they relieve the US of its financial burden (“$7 trillion,” he said with typical exaggeration) in Syria and Iraq (www.washingtonpost.com/news/worldviews/wp/2018/05/09/irans-supreme-leader-says-trump-is-making-demands-of-gulf-allies-the-u-s-wants-to-own-humiliated-slaves/?utm_term=.e1b2f1ea37a9). On May 21 Secretary of State Mike Pompeo addressed Iran policy in the comfort of the right-wing Heritage Foundation. One could hear the cheers all the way to Tel Aviv and Riyadh. But just about everywhere else, the speech was widely and properly criticized on several grounds: for not really representing “Plan B” after Trump’s withdrawal from the nuclear deal, for not being a strategy at all, for in fact threatening regime change, and for making impossible demands on Iran that could lead to war. Here are my takeaways from Pompeo’s speech. The Threat: Very much in the spirit of “maximum pressure” on North Korea, Pompeo declared: “The Iranian regime should know that this is just the beginning. After our sanctions come into full force, it will be battling to keep its economy alive. Iran will be forced to make a choice — either fight to keep its economy off life support at home or keep squandering precious wealth on fights abroad. It will not have the resources to do both.” What Pompeo did not explain is how, in the words of the European Union’s foreign affairs specialist, “walking away from the JCPOA [the Joint Comprehensive Plan of Action, the official name of the nuclear deal] has made or will make the region safer from the threat of nuclear proliferation or how it puts us in a better position to influence Iran’s conduct in areas outside the scope of JCPOA. There is no alternative to the JCPOA” (www.washingtonpost.com/news/worldviews/wp/2018/05/22/the-white-houses-wishful-thinking-on-iran-and-north-korea/). The Oversell: “We will ensure freedom of navigation on the waters in the region. We will work to prevent and counteract any Iranian malign cyber activity. We will track down Iranian operatives and their Hezbollah proxies operating around the world and crush them. Iran will never again have carte blanche to dominate the Middle East.” Really? “Dominate the Middle East”? Sounds like a version of the yellow peril argument. In a nutshell, Trump is all in when it comes to currying favor with Benjamin Netanyahu and Crown Prince Mohammed bin Salman. They, along with Kim Jong-un, Xi Jinping, and Vladimir Putin, are the real winners in Singapore. The spineless Republicans will mostly hold their noses and say nothing, partly because they belong to the Israeli Lobby and partly because they have learned not to criticize this president no matter how much he sells out the country. Consequently, the opportunity President Obama created with the nuclear deal with Iran to find common ground on other Middle East issues has been squandered. Meantime, Trump will continue dissembling about what he accomplished in Singapore, maintaining that North Korea is dismantling its nuclear and missile establishment so as to pretend the issue is being resolved. There’s big trouble ahead.